The Single Type has one disk set, which is designed to absorb only angular eccentricity. 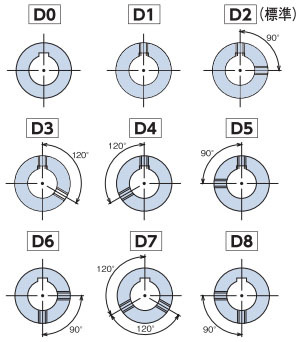 The Spacer Type consists of two disc sets that can absorb all forms of misalignment. The Long Spacer Type acts as a floating shaft. It allows the use of various clamping methods to meet various needs, such as keyways, Power-Locks, and clamps. Refer to the catalog for details on the Long Spacer Type.